A 10-year-old girl fighting cancer is inspired to live through her love for a dolphin. She becomes the leader of a small movement to save dolphins from tuna nets used by the greedy owner of a local fishery where her mother works. The girl becomes globally famous for her efforts to save dolphins, and gains the popularity that she’s always craved. She and her sister also grow closer. 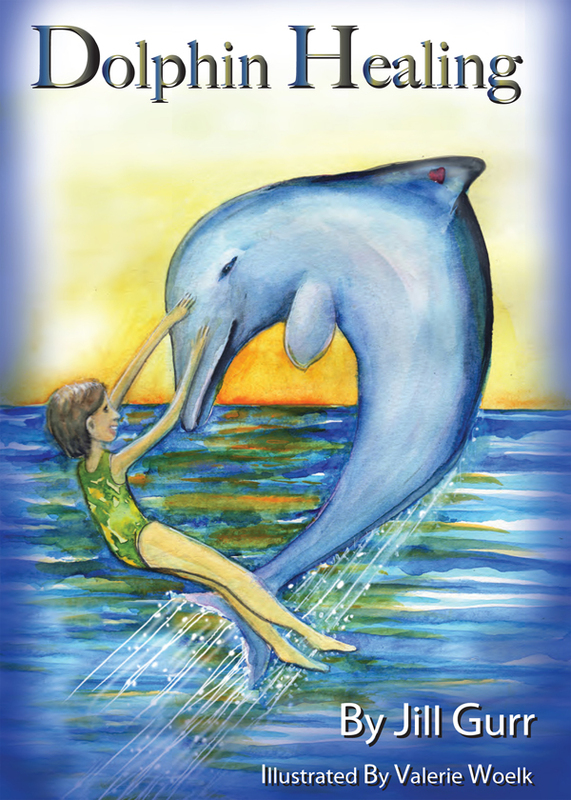 DOLPHIN HEALING includes 18 detailed illustrations by artist Valerie Woelk. Being bullied makes 10-year old Julie feel miserable, but she has a bigger challenge to overcome when she discovers that she has cancer. It’s scary being in the hospital for treatment. Her older sister is jealous of all the attention that she receives from their single mother. Julie returns to school after losing all her hair. Classmate Danny embarrasses her in front of the entire class. She runs away to her secret spot high on a cliff above the ocean where she meets Dreamer. He’s a special dolphin and through their friendship, she heals. Julie learns from Paul (a marine biologist) that the owner of the local fishery where her mother works is killing dolphins to capture tuna fish. He tries to enlist Julie’s mom to help him stop this fishery. Even though Julie’s mother is mutually attracted to Paul, she resists his efforts to get closer to her. Julie becomes a role model for her mother when she strives to save dolphins from the nets. However, she’s traumatized when she discovers that Dreamer has been killed. Julie relapses with a severe case of leukemia. Julie is dying and nothing can save her, but just when there’s no hope for her survival, she learns a new visualization technique. She finds out that her thoughts and feelings can affect her disease through a science called psychoneuroimmunology. As the girl regains good health and self-confidence, her popularity soars and she receives support for the rally that she organizes in her town to save the dolphins. Through media attention, Julie is finally able to help save the dolphins by raising funds for the Dreamer Research Center that’s run by Paul. Romance blooms between him and Julie’s mother, and the girl grows closer with her sister. Her new friends, and people from all over the world, cherish Julie. You can purchase the book online from Amazon or Smashwords in multiple eBook formats at https://www.smashwords.com/books/view/407698.